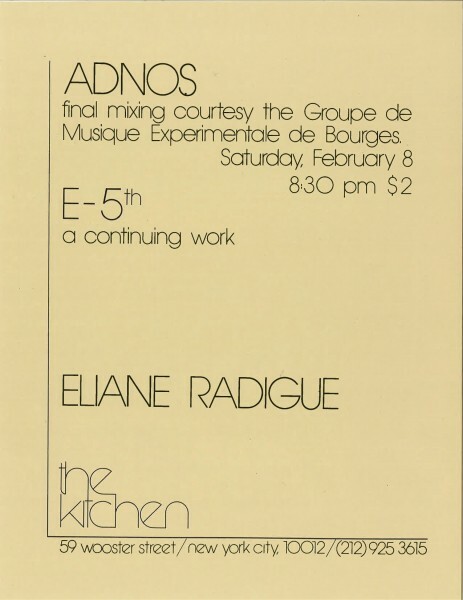 On a weekend in 1975, Eliane Radigue presented E-5th realized on an Arp Syntehesizer that lasted 24 hours at The Kitchen. Audience members were invited to come and go at any time within that threshold, and even call in on Sunday if they wished to continue listening. Within this concert, she also presented her 82 minute piece, Adnos.